Reference: Harker, A. (1894) Carrock Fell: a study in the variation of igneous rock masses - part I. The Gabbro. Quarterly Journal of the Geological Society of London, 50, 311-337.; Harker, A. (1895) Carrock Fell: a study in the variation of igneous rock masses - part II The Carrock Fell Granophyre, part III the Grainsgill greisen. Quarterly Journal of the Geological Society of London, 51, 125-148.; Cooper, M.P. and Stanley, C.J. (1990) Minerals of the English Lake District: Caldbeck Fells. Natural History Museum Publications, London, 160 pp. (referring to Harker, 1894-1895). Description: Identified on a small specimen from the upper west level submitted to MPC by W. van den Berg. EPMA shows the presence of Ce, La, and Nd; Bi was not detected. Small grain size prevented quantitative results. [...] Agardite-mixite has subsequently been identified (BM(NH): XRD) on a specimen from the C.M. Leppington Collection. Reference: Holmes, A. (1917) Albite granophyre and quartz-porphyry from Brandy Gill, Carrock Fell. Geological Magazine, decade 6, 4, 403-407.; Eastwood, T., Hollingworth, S.E., Rose, W.C.C., and Trotter, F.M. (1968) Geology of the country around Cockermouth and Caldbeck. Memoirs of the Geological Survey of Great Britain. ; Cooper, M.P. and Stanley, C.J. (1990) Minerals of the English Lake District: Caldbeck Fells. Natural History Museum Publications, London, 160 pp. (referring to Holmes, 1917 and Eastwood et al., 1968). Reference: Harker, A. (1895) Carrock Fell: a study in the variation of igneous rock masses - part II The Carrock Fell Granophyre, part III the Grainsgill greisen. Quarterly Journal of the Geological Society of London, 51, 125-148.; Eastwood, T., Hollingworth, S.E., Rose, W.C.C., and Trotter, F.M. (1968) Geology of the country around Cockermouth and Caldbeck. Memoirs of the Geological Survey of Great Britain. ; Cooper, M.P. and Stanley, C.J. (1990) Minerals of the English Lake District: Caldbeck Fells. Natural History Museum Publications, London, 160 pp. (referring to Harker, 1895 and Eastwood et al., 1968). Reference: Eastwood, T., Hollingworth, S.E., Rose, W.C.C., and Trotter, F.M. (1968) Geology of the country around Cockermouth and Caldbeck. Memoirs of the Geological Survey of Great Britain. ; Cooper, M.P. and Stanley, C.J. (1990) Minerals of the English Lake District: Caldbeck Fells. Natural History Museum Publications, London, 160 pp. (referring to Eastwood et al., 1968). Reference: Hitchen, C.S. (1934) The Skiddaw Granite and its residual products. Quarterly Journal of the Geological Society, 90(1-4), 158-200. Description: Specimen in the BM(NH) (Young, 1987). Description: Associated with the wulfenite (Goodchild, 1875) that was shown by Russell (1936) to have originated here; listed by Hartley (1984). Reference: Goodchild, J.G. (1875) "Wulfenite" at "Caldbeck Fell". Geological Magazine, 2(11), 565-566.; Russell, A. (1936) Notes on the occurrence of wulfenite at Brandy Gill, Cumberland, and of leadhillite at Drumruck Mine, Kirkcudbrightshire. Mineralogical Magazine, 24(153), 321-323.; Hartley, J. (1984) A list of minerals associated with the ore deposits of the Caldbeck Fells, Cumbria. Transactions of the Leeds Geological Association, 10(3), 22-39.; Cooper, M.P. and Stanley, C.J. (1990) Minerals of the English Lake District: Caldbeck Fells. Natural History Museum Publications, London, 160 pp. (Referring to Goodchild, 1875, Russell, 1936, and Hartley, 1984). Reference: Eastwood, T., Hollingworth, S.E., Rose, W.C.C., and Trotter, F.M. (1968) Geology of the country around Cockermouth and Caldbeck. Memoirs of the Geological Survey of Great Britain. 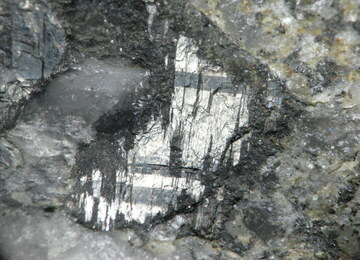 ; Fortey, N.J. (1978) Mineral parageneses of the Harding vein tungsten deposit, Carrock Fell mine, Cumbria. Mineralogy Unit Report n° 228, Institute of Geological Sciences. ; Cooper, M.P. and Stanley, C.J. (1990) Minerals of the English Lake District: Caldbeck Fells. Natural History Museum Publications, London, 160 pp. (referring to Eastwood et al., 1968 and Fortey, 1978). Reference: Harker, A. (1894) Carrock Fell: a study in the variation of igneous rock masses - part I. The Gabbro. Quarterly Journal of the Geological Society of London, 50, 311-337.; Harker, A. (1895) Carrock Fell: a study in the variation of igneous rock masses - part II The Carrock Fell Granophyre, part III the Grainsgill greisen. Quarterly Journal of the Geological Society of London, 51, 125-148.; Eastwood, T., Hollingworth, S.E., Rose, W.C.C., and Trotter, F.M. (1968) Geology of the country around Cockermouth and Caldbeck. Memoirs of the Geological Survey of Great Britain. ; Cooper, M.P. and Stanley, C.J. (1990) Minerals of the English Lake District: Caldbeck Fells. Natural History Museum Publications, London, 160 pp. (referring to Harker, 1894-1895 and Eastwood et al., 1968). ; Cooper, M.P. and Stanley, C.J. (1991) Famous mineral localities: Pyromorphite group minerals from the Caldbeck Fells, Cumbria, England. Mineralogical Record, 22(2), 105-121. Reference: Cooper, M.P. and Stanley, C.J. (1991) Famous mineral localities: Pyromorphite group minerals from the Caldbeck Fells, Cumbria, England. Mineralogical Record, 22(2), 105-121. Description: Kingsbury reference. Cooper & Stanley (1990): "With gold and malachite etc. on metamorphosed Skiddaw slate from the No. 1 level (north) on the Harding vein (Kingsbury Collection, BM(NH)); Kingsbury, MS2). Description: Kingsbury reference. Cooper & Stanley (1990): "As small poor crystals in 'gilbertite' in specimens in the Kingsbury & Russell Collections, BM(NH), collected by the former who noted 'from north-west branch (= south drive on the Harding vein) of the new low-level cross-cut to the Harding vein - the vein in which beryl occurs is apparently an early member of the suite; also in iron-stained mica on dump' (Kingsbury, unpublished manuscript). The reference of Lysons & Lysons (1816: cx) to beryl from 'Caldew-beck ... found by the Rev. Mr. Mandall' probably refers to apatite." Reference: Harker, A. (1894) Carrock Fell: a study in the variation of igneous rock masses - part I. The Gabbro. Quarterly Journal of the Geological Society of London, 50, 311-337.; Eastwood, T., Hollingworth, S.E., Rose, W.C.C., and Trotter, F.M. (1968) Geology of the country around Cockermouth and Caldbeck. Memoirs of the Geological Survey of Great Britain. ; Cooper, M.P. and Stanley, C.J. (1990) Minerals of the English Lake District: Caldbeck Fells. Natural History Museum Publications, London, 160 pp. (referring to Harker, 1894 and Eastwood et al., 1968). Description: Cooper & Stanley (1990): "the 'bismuth ochre' reported from 'Brandy Gill' as an associate of bismuth (Goodchild, 1882: 104) may have been bismite or bismutite. Bismite has been recorded from Carrock mine 'in minute amounts' as a yellowish white alteration of bismuthinite (Davidson & Thomson, 1951); and from the dumps of an old level 'at, or near, the junction of the east-west lead veins with the Emerson vein at the foot of Brandy Gill' (Hartley, 1984)." Description: Cooper & Stanley (1990): "the 'bismuth ochre' reported from 'Brandy Gill' as an associate of bismuth (Goodchild, 1882: 104) may have been bismite or bismutite." Reference: Goodchild, J.G. (1882) Contributions towards a list of minerals occurring in Cumberland and Westmorland [part 2]. Transactions of the Cumberland Association for the Advancement of Literature and Science, 7 (for 1881-1882), 189-204.; Cooper, M.P. and Stanley, C.J. (1990) Minerals of the English Lake District: Caldbeck Fells. Natural History Museum Publications, London, 160 pp. (referring to Goodchild, 1882). Description: Cooper & Stanley (1990): "Recorded by Hitchen (1934) and listed from the 'main dump' by Hartley (1984). The 'bismuth ochre' reported from 'Brandy Gill' as an associate of bismuth (Goodchild, 1882: 104) may have been bismite or bismutite." Reference: Kingsbury, A.W.G. and Hartley, J. 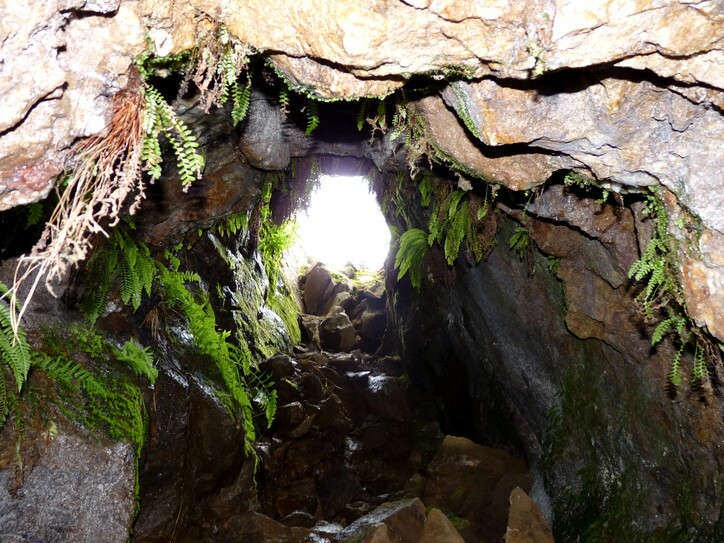 (MS) (1951) New occurrences of rare minerals in the northern part of the English Lake District: part 1.; Hartley, J. (1984) A list of minerals associated with the ore deposits of the Caldbeck Fells, Cumbria. Transactions of the Leeds Geological Association, 10(3), 22-39.; Cooper, M.P. and Stanley, C.J. (1990) Minerals of the English Lake District: Caldbeck Fells. Natural History Museum Publications, London, 160 pp. (referring to Kingsbury and Hartley, 1951 and Hartley, 1984). Reference: Hitchen, C.S. (1934) The Skiddaw granite and its residual products. Quarterly Journal of the Geological Society of London, 90, 158-200. Reference: Melmore, S. (1920) The metamorphism of the Carrock Fell gabbro; with a note on the origin of the sulphide veins of the Caldbeck Fells. Geological Magazine, 57, 266-268.; Cooper, M.P. and Stanley, C.J. (1990) Minerals of the English Lake District: Caldbeck Fells. Natural History Museum Publications, London, 160 pp. (referring to Melmore, 1920). ; Cooper, M.P. and Stanley, C.J. (1991) Famous mineral localities: Pyromorphite group minerals from the Caldbeck Fells, Cumbria, England. Mineralogical Record, 22(2), 105-121. Description: Kingsbury reference? Cooper & Stanley (1990): "From the upper west level dumps (Hartley, 1984); specimens in the Kingsbury Collection, BM(NH), show 1-2mm crystals with linarite." Reference: Hartley, J. (1984) A list of minerals associated with the ore deposits of the Caldbeck Fells, Cumbria. Transactions of the Leeds Geological Association, 10(3), 22-39.; Cooper, M.P. and Stanley, C.J. (1990) Minerals of the English Lake District: Caldbeck Fells. Natural History Museum Publications, London, 160 pp. Description: Cooper & Stanley (1990): "Vein exposures near the mine, on the east side of Brandy Gill and in the dry tributary valley to the east [NY32403335] have yielded a few fairly rich specimens of carminite as minutes crystals and drusy crusts on quartz with beudantite (D.R. Middleton & M.P. Cooper Collections, det. University of Manchester Institute of Science and Technology (UMIST): IR)." Cooper & Stanley (1991): "occasionally as epimorphs after small mimetite crystals." Reference: Kingsbury, A.W.G. and Hartley, J. (1957) Beaverite from the Lake District. Mineralogical Magazine, 31(239), 700-702.; Kingsbury, A.W.G. and Hartley, J. (1960) Carminite and beudantite from the northern part of the Lake District and from Cornwall. Mineralogical Magazine, 32(249), 423-432.; Hartley, J. (1984) A list of minerals associated with the ore deposits of the Caldbeck Fells, Cumbria. Transactions of the Leeds Geological Association, 10, 22-39.; Young, B. (1987) Glossary of the minerals of the Lake District and adjoining areas. British Geological Survey, Newcastle upon Tyne, 104 pp. ; Cooper, M.P. and Stanley, C.J. (1990) Minerals of the English Lake District: Caldbeck Fells. Natural History Museum Publications, London, 160 pp. ; Cooper, M.P. and Stanley, C.J. (1991) Famous mineral localities: Pyromorphite group minerals from the Caldbeck Fells, Cumbria, England. Mineralogical Record, 22(2), 105-121 (referring to Hartley, 1984). Description: Cooper & Stanley (1990): "A few small crystal sections, embedded in quartz and mica, were found by Kingsbury in 1953 from the Harding vein 'new low-level cross-cut, south drive' and are represented by specimens in the Russell and Kingsbury Collections, BM(NH). In addition, the King Collection (National Museum of Wales, Cardiff (NMW)) contains a good grey-brown incomplete geniculate twin, originally labelled scheelite, which, if authentic, is undoubtedly the best Carrock specimen extant. It may have been found during the 1940s working and was obtained by King from the H.F. Harwood collection (R.J. King, pers. comm.) The 'ores of tin, both of a resinous and nearly black colour' in a matrix 'nearly as hard as tempered steel', reported by Parson & White (1829) from 'a vein at Brandy Gill near the Caldew' no doubt refer to scheelite and wolframite." Reference: Roberts, D.E. (1983) Metasomatism and the formation of greisen in Grainsgill, Cumbria, England. Geological Journal, 18, 43-52.; Cooper, M.P. and Stanley, C.J. (1990) Minerals of the English Lake District: Caldbeck Fells. Natural History Museum Publications, London, 160 pp. (referring to Roberts, 1983). Description: Cooper & Stanley (1990): "Forms minute grains (exceptionally up to 180µm, but mostly < 30µm) in arsenopyrite, scheelite and carbonate minerals replacing wolframite. Mangano-columbite is the dominant end-member at Carrock (Beddoe-Stephens & Fortey, 1981). Reference: Beddoe-Stephens, B. and Fortey, N.J. (1981) Columbite from the Carrock Fell tungsten deposit. Mineralogical Magazine, 44, 217-223.; Cooper, M.P. and Stanley, C.J. (1990) Minerals of the English Lake District: Caldbeck Fells. Natural History Museum Publications, London, 160 pp. Description: Cooper & Stanley (1990): "Specimens labelled conichalcite are preserved in the Russell and Kingsbury Collections, BM(NH), but Kingsbury seems later to have considered the mineral to be a calcian duftite ('calcioduftite') although the X-ray powder pattern was 'close to (but by no means identical with) that of conichalcite (Kingsbury & Hartley, MS). Conichalcite has been found intimately associated with bayldonite forming a dark green crystalline crust on quartz (det. BM(NH): XRD, B. Young, pers. comm.)." Reference: Kingsbury, A.W.G. and Hartley, J. (MS) (1951) New occurrences of rare minerals in the northern part of the English Lake District: part 1.; Young, B. (1987) Glossary of the minerals of the Lake District and adjoining areas. British Geological Survey, Newcastle upon Tyne, 104 pp. Cooper, M.P. and Stanley, C.J. (1990) Minerals of the English Lake District: Caldbeck Fells. Natural History Museum Publications, London, 160 pp. (referring to Kingsbury & Hartley, 1951 and Young, 1987). Reference: Stanley, C.J. (1979) Mineralogical studies of copper, lead, zinc, and cobalt mineralization in the English Lake District. Unpublished Ph.D. thesis, University of Aston, Birmingham. ; Roberts, D.E. (1983) Metasomatism and the formation of greisen in Grainsgill, Cumbria, England. Geological Journal, 18, 43-52.; Cooper, M.P. and Stanley, C.J. (1990) Minerals of the English Lake District: Caldbeck Fells. Natural History Museum Publications, London, 160 pp. (referring to Stanley, 1979 and Roberts, 1983). Description: Cooper & Stanley (1990): "'Lately found, in opaque bluish-grey hexagonal crystals in nacrite [= muscovite], by Bruce [sic] Wright, at Carrock Fells' (Greg & Lettsom, 1858: 235). A specimen in the BM(NH), BM 89460, collected c. 1855, fits the above description and, apart from the presence of corundum, appears typical of specimens from the Grainsgill greisen. No record of a subsequent find exists." Reference: Greg, R.P. and Lettsom, W.G. (1858) Manual of the Mineralogy of Great Britain and Ireland. John van Voorst, London, ix. 483 pp. [facsimile reprint, with addenda, by Lapidary Publications, Broadstairs, 1977. ]; Davidson, W.F. and Thomson, N. (1951) Some notes on the minerals of Westmorland and Cumberland. North West Naturalist, 23 (for 1948), 136-154.; Cooper, M.P. and Stanley, C.J. (1990) Minerals of the English Lake District: Caldbeck Fells. Natural History Museum Publications, London, 160 pp. (referring to Greg & Lettsom, 1858 and Davidson & Thomson, 1951). Reference: Kingsbury, A.W.G. and Hartley, J. (1956) New occurrences of vanadium minerals (mottramite, descloizite, and vanadinite) in the Caldbeck area of Cumberland. Mineralogical Magazine, 31(235), 289-295.; Hartley, J. (1984) A list of minerals associated with the ore deposits of the Caldbeck Fells, Cumbria. Transactions of the Leeds Geological Association, 10(3), 22-39.; Cooper, M.P. and Stanley, C.J. (1990) Minerals of the English Lake District: Caldbeck Fells. Natural History Museum Publications, London, 160 pp. (referring to Kingsbury & Hartley, 1956 and Hartley, 1984). ; Cooper, M.P. and Stanley, C.J. (1991) Famous mineral localities: Pyromorphite group minerals from the Caldbeck Fells, Cumbria, England. Mineralogical Record, 22(2), 105-121 (referring to Kingsbury & Hartley, 1956). Description: Cooper & Stanley (1990): "The only record is that of Van Den Berg (1985) who cannot now substantiate the record by specimen or reference (pers. comm., 1988). Requires confirmation." 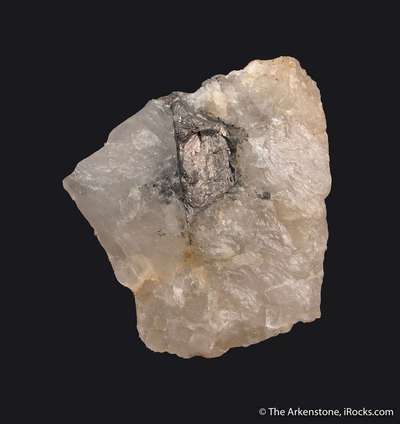 Reference: Van Den Berg, W. (1985) Mineralen zoeken in de Caldbeck Fells (Lake District). Gea (Driemaandelijks tijdschrift va de Stichting Geologische Aktiviteiten), 18, 39-48 (in Dutch). ; Cooper, M.P. and Stanley, C.J. (1990) Minerals of the English Lake District: Caldbeck Fells. Natural History Museum Publications, London, 160 pp. (referring to Van Den Berg, 1985). Reference: Claringbull, G.F. (1951) New occurrences of duftite. Mineralogical Magazine, 29, 609-614.; Davidson, W.F. and Thomson, N. (1951) Some notes on the minerals of Westmorland and Cumberland. North West Naturalist, 23 (for 1948), 136-154.; Kingsbury, A.W.G. and Hartley, J. (MS) (1951) New occurrences of rare minerals in the northern part of the English Lake District: part 1.; Guillemin, C. (1956) Contribution à la minéralogie des arséniates, phosphates et vanadates de cuivre. Bulletin de la Société Française de Minéralogie et Crystallographie, 79, 7-95.; Hartley, J. (1984) A list of minerals associated with the ore deposits of the Caldbeck Fells, Cumbria. Transactions of the Leeds Geological Association, 10(3), 22-39.; Cooper, M.P. and Stanley, C.J. (1990) Minerals of the English Lake District: Caldbeck Fells. Natural History Museum Publications, London, 160 pp. ; Cooper, M.P. and Stanley, C.J. (1991) Famous mineral localities: Pyromorphite group minerals from the Caldbeck Fells, Cumbria, England. Mineralogical Record, 22(2), 105-121 (referring to Hartley, 1984). ; Clark, A.M. (1993) Hey's Mineral Index: mineral species, varieties and synonyms. Description: Cooper & Stanley (1990): Kingsbury & Hartley claimed that material they had collected resembled, but was not identical with duftite was actually an intermediate between duftite and conichalcite. They coined the term 'calcio-duftite' for this mineral on the basis of the intermediate nature of the x-ray powder spacings and a qualitative (spectrographic) analysis that showed significant calcium. Claringbull also mentioned the affinity of the x-ray pattern of Brandy Gill duftite with conichalcite and commented on the variation of refractive index within individual spherules of the mineral which, he suggested, resulted from a corresponding variation in composition with the core being richer in lead than the outer areas. Reference: Claringbull, G.F. (1951) New occurrences of duftite. Mineralogical Magazine, 29, 609-614.; Kingsbury, A.W.G. and Hartley, J. (MS) (1951) New occurrences of rare minerals in the northern part of the English Lake District: part 1.; Cooper, M.P. and Stanley, C.J. (1990) Minerals of the English Lake District: Caldbeck Fells. Natural History Museum Publications, London, 160 pp. Description: Cooper & Stanley (1990): "Most duftite from Brandy Gill appears to be β-duftite as defined by Guillemin (1956: 70), who re-examined Claringbull's (1951) x-ray data. Infra-red absorption spectrophotometry readily distinguishes α- and β-duftite and also shows the predominance of the latter at this locality (R.S.W. Braithwaite, pers. comm.)." Description: Cooper & Stanley (1990): "a few specimens recently examined appear to be α-duftite which, at Brandy Gill, forms small globular masses on quartz (M.P. Cooper Collection, det. P.J. Dunn, Smithsonian Institution: XRD) or minute crystals with agardite-mixite (det. BM(NH): XRD, C.M. Leppington, pers. comm.)" Reference: Cooper, M.P. and Stanley, C.J. (1991) Famous mineral localities: Pyromorphite group minerals from the Caldbeck Fells, Cumbria, England. Mineralogical Record, 22(2), 105-122. Description: In the BM(NH) Collection from the No. 3 level (Young, 1987). Reference: Eastwood, T., Hollingworth, S.E., Rose, W.C.C., and Trotter, F.M. (1968) Geology of the country around Cockermouth and Caldbeck. Memoirs of the Geological Survey of Great Britain. ; Cooper, M.P. and Stanley, C.J. (1990) Minerals of the English Lake District: Caldbeck Fells. Natural History Museum Publications, London, 160 pp. (referring to Eastwood, 1968). Description: Cooper & Stanley (1990): "As club-shaped aggregates of creamy prismatic crystals to 2mm with duftite on quartz on a few specimens found in situ in the top west level in 1985 (det. BM(NH): XRD; R. Starkey, pers. comm., 1985). The first British record." Reference: Thimmaiah, T. (1956) Mineralisation of the Caldbeck Fells area, Cumberland. Unpublished Ph.D. thesis, University of London. ; Cooper, M.P. and Stanley, C.J. (1990) Minerals of the English Lake District: Caldbeck Fells. Natural History Museum Publications, London, 160 pp. (referring to Thimmaiah, 1956). Description: From the upper west level dump. Reference: Goodchild, J.G. (1885) Contributions towards a list of minerals occurring in Cumberland and Westmorland [part 3]. Transactions of the Cumberland Association for the Advancement of Literature and Science, 9 (for 1883-1884), 175-199.; Harker, A. (1894) Carrock Fell: a study in the variation of igneous rock masses - part I. The Gabbro. Quarterly Journal of the Geological Society of London, 50, 311-337.; Harker, A. (1895) Carrock Fell: a study in the variation of igneous rock masses - part II The Carrock Fell Granophyre, part III the Grainsgill greisen. Quarterly Journal of the Geological Society of London, 51, 125-148.; Eastwood, T., Hollingworth, S.E., Rose, W.C.C., and Trotter, F.M. (1968) Geology of the country around Cockermouth and Caldbeck. Memoirs of the Geological Survey of Great Britain. ; Cooper, M.P. and Stanley, C.J. (1990) Minerals of the English Lake District: Caldbeck Fells. Natural History Museum Publications, London, 160 pp. (referring to Goodchild, 1885, Harker, 1894-1895, and Eastwood et al., 1968). Reference: Goodchild, J.G. (1885) Contributions towards a list of minerals occurring in Cumberland and Westmorland [part 3]. Transactions of the Cumberland Association for the Advancement of Literature and Science, 9 (for 1883-1884), 175-199.; Harker, A. (1894) Carrock Fell: a study in the variation of igneous rock masses - part I. The Gabbro. Quarterly Journal of the Geological Society of London, 50, 311-337.; Eastwood, T., Hollingworth, S.E., Rose, W.C.C., and Trotter, F.M. (1968) Geology of the country around Cockermouth and Caldbeck. Memoirs of the Geological Survey of Great Britain. ; Cooper, M.P. and Stanley, C.J. (1990) Minerals of the English Lake District: Caldbeck Fells. Natural History Museum Publications, London, 160 pp. (referring to Goodchild, 1885, Harker, 1894, and Eastwood et al., 1968). Reference: Harker, A. (1894) Carrock Fell: a study in the variation of igneous rock masses - part I. The Gabbro. Quarterly Journal of the Geological Society of London, 50, 311-337.; Eastwood, T., Hollingworth, S.E., Rose, W.C.C., and Trotter, F.M. (1968) Geology of the country around Cockermouth and Caldbeck. Memoirs of the Geological Survey of Great Britain. ; Cooper, M.P. and Stanley, C.J. (1990) Minerals of the English Lake District: Caldbeck Fells. Natural History Museum Publications, London, 160 pp. (referring to Harker, 1894 and Eastwood et al., 1968). ; Cooper, M.P. and Stanley, C.J. (1991) Famous mineral localities: Pyromorphite group minerals from the Caldbeck Fells, Cumbria, England. Mineralogical Record, 22(2), 105-121. Reference: Zav'yalov, E.N. and Begizov, V.D. (1981) The new bismuth mineral ingodite, Bi2TeS. Zapiski Vsesoyuznogo Mineralogicheskogo Obshchestva, 110, 594-600 (in Russian) [Mineralogical Abstracts, 33, 82M/3350; American Mineralogist, 62, 855 (1982)]. ; Zav'yalov, E.N. and Begizov, V.D. (1981) Once more on the problem of grünlingite. Zapiski Vsesoyuznogo Mineralogicheskogo Obshchestva, 110, 633-635. [Mineralogical Abstracts, 33, 82M/3316; American Mineralogist, 62, 855 (1982)]. ; Cooper, M.P. and Stanley, C.J. (1990) Minerals of the English Lake District: Caldbeck Fells. Natural History Museum Publications, London, 160 pp. (referring to Zav'yalov and Begizov, 1981). ; Cook, N.J., Ciobanu, C.L., Wagner, T., and Stanley, C.J. (2007) Minerals of the system Bi–Te–Se–S related to the tetradymite archetype: review of classification and compositional variation. The Canadian Mineralogist, 45(4), 665-708. Reference: Peacock, M.A. (1941) On josëite, grünlingite, oruetite. University of Toronto Studies, Geology Series, 46, 83-105.; Davidson, W.F. and Thomson, N. (1951) Some notes on the minerals of Westmorland and Cumberland. North West Naturalist, 23 (for 1948), 136-154.; Zav'yalov, E.N. and Begizov, V.D. (1981) The new bismuth mineral ingodite, Bi2TeS. Zapiski Vsesoyuznogo Mineralogicheskogo Obshchestva, 110, 594-600 (in Russian) [Mineralogical Abstracts, 33, 82M/3350; American Mineralogist, 62, 855 (1982)]. ; Zav'yalov, E.N. and Begizov, V.D. (1981) Once more on the problem of grünlingite. Zapiski Vsesoyuznogo Mineralogicheskogo Obshchestva, 110, 633-635. [Mineralogical Abstracts, 33, 82M/3316; American Mineralogist, 62, 855 (1982)]. ; Cooper, M.P. and Stanley, C.J. (1990) Minerals of the English Lake District: Caldbeck Fells. Natural History Museum Publications, London, 160 pp. Description: Cooper & Stanley (1990): Specimens in the BM(NH) labelled tetradymite and grünlingite contain joséite-B (among other species). Description: Cooper & Stanley (1990): "Electron microprobe analyses (by CJS) of a mineral replacing bismuthinite in a telluride-rich specimen (BM(NH)) give a formula consistent with that of krupkaite. Grains are minute (30-60µm)." Description: Cooper & Stanley (1990): "Minute, poorly crystalline brownish aggregates on quartz have been identified (BM(NH): XRD) as leadhillite-susannite (B. Yates Collection)." Description: Kingsbury reference. Cooper & Stanley (1990): "The first (and only) British occurrence (Kingsbury & Hartley, 1955). 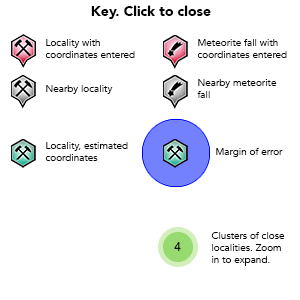 The mineral was found in specimens from the dumps of the eastern level as small (< 1.5mm), dark olive-green bladed crystals on a yellowish-green crystalline mineral (which 'gives [an x-ray powder] pattern and spacings very close to those of the well-known pale blue Cumberland plumbogummite' op. cit. : 724.) It was found in cavities in granophyre presumed to be from the vein wall. Only a few specimens were obtained (Kingsbury and Russell Collections, BM(NH)) and, despite the exertions of a generation of collectors, none has been found since." Reference: Kingsbury, A.W.G. and Hartley, J. (1955) On the occurrence of the rare copper molybdate, lindgrenite, at Brandy Gill, Carrock Fell. Cumberland. Mineralogical Magazine, 30(230), 723-726.; Hartley, J. (1984) A list of minerals associated with the ore deposits of the Caldbeck Fells, Cumbria. Transactions of the Leeds Geological Association, 10, 22-39.; Cooper, M.P. and Stanley, C.J. (1990) Minerals of the English Lake District: Caldbeck Fells. Natural History Museum Publications, London, 160 pp. ; Cooper, M.P. and Stanley, C.J. (1991) Famous mineral localities: Pyromorphite group minerals from the Caldbeck Fells, Cumbria, England. Mineralogical Record, 22(2), 105-121 (referring to Hartley, 1984). Reference: Harker, A. (1894) Carrock Fell: a study in the variation of igneous rock masses - part I. The Gabbro. Quarterly Journal of the Geological Society of London, 50, 311-337.; Harker, A. (1895) Carrock Fell: a study in the variation of igneous rock masses - part II The Carrock Fell Granophyre, part III the Grainsgill greisen. Quarterly Journal of the Geological Society of London, 51, 125-148.; Melmore, S. (1920) The metamorphism of the Carrock Fell gabbro; with a note on the origin of the sulphide veins of the Caldbeck Fells. Geological Magazine, 57, 266-268.; Eastwood, T., Hollingworth, S.E., Rose, W.C.C., and Trotter, F.M. (1968) Geology of the country around Cockermouth and Caldbeck. Memoirs of the Geological Survey of Great Britain. ; Cooper, M.P. and Stanley, C.J. (1990) Minerals of the English Lake District: Caldbeck Fells. Natural History Museum Publications, London, 160 pp. (referring to Harker, 1894-1895, Melmore, 1920, and Eastwood et al., 1968). Description: Crystals often almost wholly converted into yellow mica in the vicinity of molybdenite-bearing fissures in quartz in a vein a few metres east of the Emerson vein. Habit: minute globular patches and aggregates; well-formed but minute crystals; drusy botryoidal aggregates with fibrous structure. Colour: yellowish green to dark olive green, greenish brown, brown, reddish brown to dark brown. Description: Cooper & Stanley (1990): "Recently, in the form of minute sharp bipyramidal crystals of an unusually pale green colour on bayldonite (?) (P. Braithwaite Collection, det. BM(NH): XRD). Reference: Kingsbury, A.W.G. and Hartley, J. (1956) New occurrences of vanadium minerals (mottramite, descloizite, and vanadinite) in the Caldbeck area of Cumberland. Mineralogical Magazine, 31(235), 289-295.; Hartley, J. (1984) A list of minerals associated with the ore deposits of the Caldbeck Fells, Cumbria. Transactions of the Leeds Geological Association, 10(3), 22-39.; Cooper, M.P. and Stanley, C.J. (1990) Minerals of the English Lake District: Caldbeck Fells. Natural History Museum Publications, London, 160 pp. ; Cooper, M.P. and Stanley, C.J. (1991) Famous Mineral Localities: Pyromorphite Group Minerals from the Caldbeck Fells, Cumbria, England. Mineralogical Record, 22(2), 105-121 (referring to Kingsbury & Hartley, 1956). Reference: Hall, T.M. (1868) The Mineralogist's Directory: or a guide to the principal mineral localities in the United Kingdom and Ireland. Edward Stanford (London), 168 pp. ; Cooper, M.P. and Stanley, C.J. (1990) Minerals of the English Lake District: Caldbeck Fells. Natural History Museum Publications, London, 160 pp. Reference: Ineson, P.R. and Mitchell, J.G. (1974) K-Ar isotopic age determinations from some Lake District mineral localities. Geological Magazine, 111, 521-537.; Cooper, M.P. and Stanley, C.J. (1990) Minerals of the English Lake District: Caldbeck Fells. Natural History Museum Publications, London, 160 pp. (referring to Ineson & Mitchell, 1974). Description: Kingsbury reference. Cooper & Stanley (1990): "Small tufts of minute, very pale green needles in cavities in quartz from the dumps below the Harding vein (Kingsbury & Hartley, MS)." Reference: Harker, A. (1895) Carrock Fell: a study in the variation of igneous rock masses - part II The Carrock Fell Granophyre, part III the Grainsgill greisen. Quarterly Journal of the Geological Society of London, 51, 125-148.; Cooper, M.P. and Stanley, C.J. (1990) Minerals of the English Lake District: Caldbeck Fells. Natural History Museum Publications, London, 160 pp. (referring to Harker, 1895). Reference: Melmore, S. (1920) The metamorphism of the Carrock Fell gabbro; with a note on the origin of the sulphide veins of the Caldbeck Fells. Geological Magazine, 57, 266-268.; Cooper, M.P. and Stanley, C.J. (1990) Minerals of the English Lake District: Caldbeck Fells. Natural History Museum Publications, London, 160 pp. (referring to Melmore, 1920). Reference: Kingsbury, A.W.G. and Hartley (MS) (1951) New occurrences of rare minerals in the northern part of the English Lake District: part 1.; Hartley, J. (1984) A list of minerals associated with the ore deposits of the Caldbeck Fells, Cumbria. Transactions of the Leeds Geological Association, 10(3), 22-39.; Cooper, M.P. and Stanley, C.J. (1990) Minerals of the English Lake District: Caldbeck Fells. Natural History Museum Publications, London, 160 pp. (referring to Kingsbury & Hartley, 1951 and Hartley, 1984). Description: Based solely on a Kingsbury reference? Cooper & Stanley (1990): "A pale yellowish green crystalline mineral associated with lindgrenite from the east level gave an X-ray powder photograph close to that of the 'well-known pale blue Cumberland plumbogummite' (Kingsbury & Hartley, 1955: 724). Also recorded from the upper west level (Hartley, 1984)." Reference: Kingsbury, A.W.G. and Hartley, J. 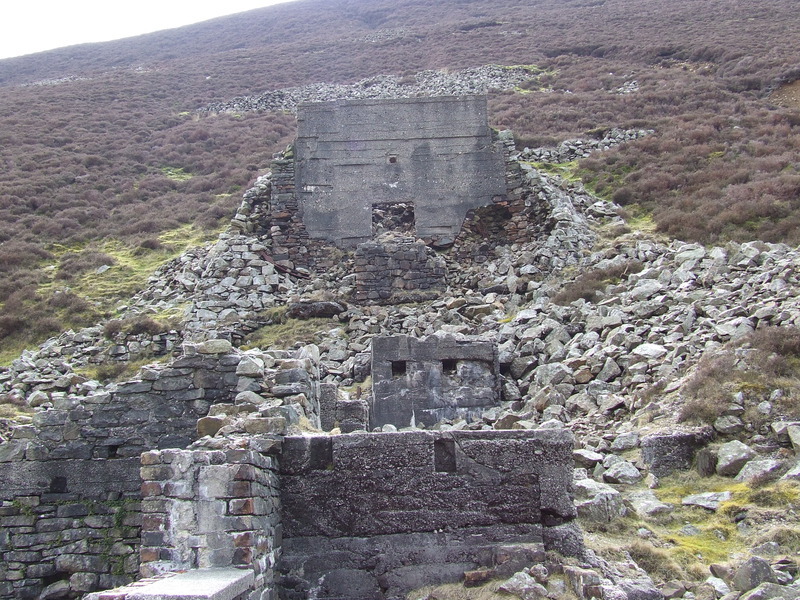 (1955) On the occurrence of the rare copper molybdate, lindgrenite, at Brandy Gill, Carrock Fell, Cumberland. Mineralogical Magazine, 30(230), 723-726.; Hartley, J. (1984) A list of minerals associated with the ore deposits of the Caldbeck Fells, Cumbria. Transactions of the Leeds Geological Association, 10(3), 22-39.; Cooper, M.P. and Stanley, C.J. (1990) Minerals of the English Lake District: Caldbeck Fells. Natural History Museum Publications, London, 160 pp. (referring to Kingsbury & Hartley, 1955 and Hartley, 1984). Description: The first British occurrence (Hartley, 1984). Reference: Day, F.H. (1928) Some notes on the minerals of the Caldbeck Fells. Transactions of the Carlisle Natural History Society, 4, 66-79.; Dunham, K.C. and Hollingworth, S.E. (1947) Excursion to Penrith and the north-west. Mineralogical Magazine, 28, 248-254.; Cooper, M.P. and Stanley, C.J. (1990) Minerals of the English Lake District: Caldbeck Fells. Natural History Museum Publications, London, 160 pp. (referring to Day, 1928 and Dunham & Hollingworth, 1947). Reference: Cooper, M.P. and Stanley, C.J. 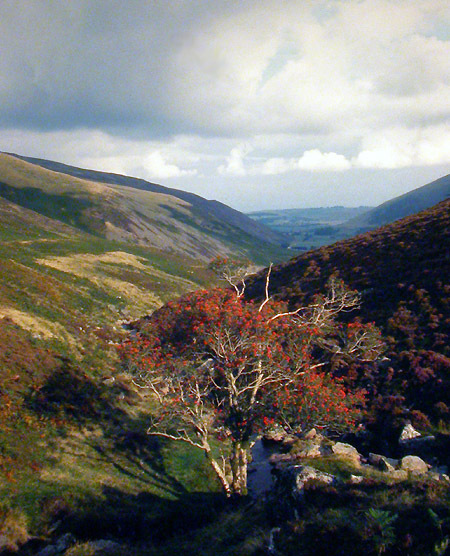 (1990) Minerals of the English Lake District: Caldbeck Fells. Natural History Museum Publications, London, 160 pp. ; Cooper, M.P. and Stanley, C.J. (1991) Famous mineral localities: Pyromorphite group minerals from the Caldbeck Fells, Cumbria, England. Mineralogical Record, 22(2), 105-121. Description: Cooper & Stanley (1990): "Listed by Fortey (1978) but Fortey & Bland (1979) state 'rhodochrosite may be present but has not yet been located by the present writer.' The occurrence is doubtful." Reference: Fortey, N.J. (1978) Mineral parageneses of the Harding vein tungsten deposit, Carrock Fell mine, Cumbria. Mineralogy Unit Report 228, Institute of Geological Sciences. ; Fortey, N.J. and Bland, D.J. 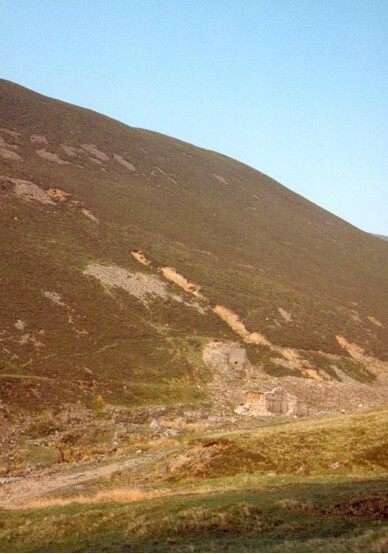 (1979) Heavy mineral dispersion profiles in altered granite at Carrock Fell mine, Cumbria. Applied Mineralogy Unit Report No. 245, Institution of Geological Sciences. ; Cooper, M.P. and Stanley, C.J. (1990) Minerals of the English Lake district: Caldbeck Fells. Natural History Museum Publications, London, 160 pp. Description: Cooper & Stanley (1990: "From an unspecified site ('the only locality in the Lake District') with galena and cerussite (Wright, in Jenkinson, 1875: lxxxi)." Reference: Jenkinson, H.I. (1875) Practical guide to the English Lake District, 4th ed. Carlisle [a chapter on 'Mineralogy' (pp. lxxi-xcii) was contributed by Bryce M. Wright Jr and was reprinted in all subsequent editions]. ; Cooper, M.P. and Stanley, C.J. (1990) Minerals of the English Lake district: Caldbeck Fells. Natural History Museum Publications, London, 160 pp. (referring to Wright in Jenkinson, 1875). Reference: Greg, R.P. and Lettsom, W.G. (1858) Manual of Mineralogy of Great Britain and Ireland, London, p. 375.; Hall, T.M. (1868) The Mineralogist's Directory, London, p. 53.; Postlethwaite, J. (1913) Mines and mining in the Lake District, 3rd edition, Whitehaven, p. 60.; Kingsbury, A.W.G. and Hartley, J. (1956) Cosalite and other lead sulpho-salts at Grainsgill, Carrock Fell, Caldbeck, Cumberland. Mineralogical Magazine, vol. 31, n° 235, pp. 296-300. Description: Erroneous entry for stibnite (Hartley, 1984) (Hartley, pers. comm., 1988). Description: D. McCallum pers. comm. (det. BM(NH): XRD). Description: Cooper & Stanley (1990) list it as "leadhillite-susannite" from the B. Yates Collection (det. BM(NH): XRD). Description: Cooper & Stanley (1990): "The presence of sylvanite in 'grünlingite' is mentioned in a letter of 1943 from W. Hemingway to Anthony Wilson (leaseholder of the mine) preserved in the Cumbria Record Office, Carlisle (DX/955/3v.). No other reference can be found." Description: Cooper & Stanley (1990): "Specimens in the BM(NH) recently examined by CJS using optical and electron microprobe techniques show that those [specimens] labelled tetradymite contain mostly ingodite and joséite-B. [...] However, Clarke (1974) records an analysis (EPMA) of a Carrock mine sample that corresponds to tetradymite. Requires confirmation." Reference: Greg, R.P. and Lettsom, W.G. (1858) Manual of the mineralogy of Great Britain and Ireland. John Van Voorst, London, ix, 483 pp. [facsimile reprint, with addenda, by Lapidary Publications, Broadstairs, 1977]. ; Hall, T.M. (1868) The Mineralogist's Directory: or a guide to the principal mineral localities in the United Kingdom and Ireland. Edward Stanford (London), 168 pp. ; Goodchild, J.G. (1882) Contributions towards a list of minerals occurring in Cumberland and Westmorland [part 1]. Transactions of the Cumberland Association for the Advancement of Literature and Science, 7 (for 1881-1882), 101-126.; Day, F.H. (1928) Some notes on the minerals of the Caldbeck Fells. Transactions of the Carlisle Natural History Society, 4, 66-79.; Clarke, G.M. (1974) The mineralogy and geochemistry of tellurium with special reference to the bismuth sulphotellurides. Unpublished MSc thesis, University College, Cardiff. ; Cooper, M.P. and Stanley, C.J. (1990) Minerals of the English Lake District: Caldbeck Fells. Natural History Museum Publications, London, 160 pp. Description: As inclusions in iron-rich sphalerite (Thimmaiah, 1956). Reference: Harker, A. (1894) Carrock Fell: a study in the variation of igneous rock masses - part I. The Gabbro. Quarterly Journal of the Geological Society of London, 50, 311-337.; Cooper, M.P. and Stanley, C.J. (1990) Minerals of the English Lake District: Caldbeck Fells. Natural History Museum Publications, London, 160 pp. (referring to Harker, 1894). Description: alteration product of wolframite. Description: Cooper & Stanley (1990): "Found as minute grains (0.01 - 0.20mm) in the greisen wall-rock of a vein 'immediately west of the former smithy serving Carrock Mine'. Since radioactivity was restricted to the vicinity of the vein, the authors (Dawson & Harrison, 1966) suggested that the uraninite was associated with the vein mineralization." Reference: Dawson, J. and Harrison, R.K. (1966) Uraninite in the Greinsgill greisen, Cumberland. Bulletin of the Geological Survey of Great Britain, 25, 91.; Cooper, M.P. and Stanley, C.J. (1990) Minerals of the English Lake District: Caldbeck Fells. Natural History Museum Publications, London, 160 pp. (referring to Dawson & Harrison, 1966). Hall, T.M. (1868) The Mineralogist's Directory: or a guide to the principal mineral localities in the United Kingdom and Ireland. Edward Stanford (London), 168 pp. (p. 53 referring to stibnite from Carrock Fell). Goodchild, J.G. (1885) Contributions towards a list of minerals occurring in Cumberland and Westmorland [part 3]. Transactions of the Cumberland Association for the Advancement of Literature and Science, 9 (for 1883-1884), 175-199. Harker, A. (1894) Carrock Fell: a study in the variation of igneous rock masses - part I. The Gabbro. Quarterly Journal of the Geological Society of London, 50, 311-337. Harker, A. (1895) Carrock Fell: a study in the variation of igneous rock masses - part II The Carrock Fell Granophyre, part III the Grainsgill greisen. Quarterly Journal of the Geological Society of London, 51, 125-148. Finlayson, A.M. (1910) The ore-bearing pegmatites of Carrock Fell. Geological Magazine, 7, 19-28. Postlethwaite, J. (1913) Mines and mining in the Lake District, 3rd edition, Whitehaven, p. 60 (referring to stibnite from Carrock Fell). Holmes, A. (1917) Albite granophyre and quartz-porphyry from Brandy Gill, Carrock Fell. Geological Magazine, decade 6, 4, 403-407. Melmore, S. (1920) The metamorphism of the Carrock Fell gabbro; with a note on the origin of the sulphide veins of the Caldbeck Fells. Geological Magazine, 57, 266-268. Kingsbury, A.W.G. and Hartley, J. (1956) Cosalite and other lead sulpho-salts at Grainsgill, Carrock Fell, Caldbeck, Cumberland. Mineralogical Magazine, 31(235), pp. 296-300 (referring to Greg and Lettsom (1858), Hall (1868) and Postlethwaite (1913)). Thimmaiah, T. (1956) Mineralisation of the Caldbeck Fells area, Cumberland. Unpublished Ph.D. thesis, University of London. Eastwood, T., Hollingworth, S.E., Rose, W.C.C., and Trotter, F.M. (1968) Geology of the country around Cockermouth and Caldbeck. Memoirs of the Geological Survey of Great Britain. Shepherd, T.J., Beckinsale, R.D., Rundle, C.C., and Durham, J. (1976) Genesis of Carrock Fell tungsten deposits, Cumbria: fluid inclusion and isotopic study. Transactions of the Institution of Mining and Metallurgy, 85, B63-73. Anonymous (1977) Carrock Fell. Mining Magazine, 136, 169-175. Firman, R.J. (1978) Epigenetic mineralization in the Lake District. pp. 226-241 in Moseley (Ed. ), 1978. Moseley, F. (Ed.) (1978) The geology of the Lake District. Yorkshire Geological Society. Occasional Publication N° 3. viv, 284 pp. Rundle, C.C. (1979) Ordovician intrusions in the English Lake District. Journal of the Geological Society of London, 136, 29-38. O'Brien, C., Plant, J.A., Simpson, P.R., and Tarney, J. (1985) The geochemistry, metasomatism and petrogenesis of the granites of the English Lake District. Journal of the Geological Society of London, 142, 1139-1158. Harris, P. and Dagger, G.W. (1987) The intrusion of the Carrock Fell Gabbro Series (Cumbria) as a sub-horizontal body. Proceedings of the Yorkshire Geological Society, 46, 371-380. Stephenson, D., Bevins, R.E., Millward, D., Stone, P., Parsons, I., Highton, A.J., and Wadsworth, W.J. (2000) Caledonian Igneous Rocks of Great Britain. Geological Conservation Review, Volume 17, Joint Nature Conservancy Council.